INKin' All Night! : April brings Spring, right? Thanks for stopping by! It's been so busy with the end of Sale-a-Bration and the Weekly Deals and trying to keep you up to date with announcements... I've been lacking on sharing the creative inspiration that you come to see! Time to fix that! I have some new projects and got pictures uploaded so here we go! Berry Basket Bigz Die!! Spiral Flower Die!! Let's get ready for Spring!! 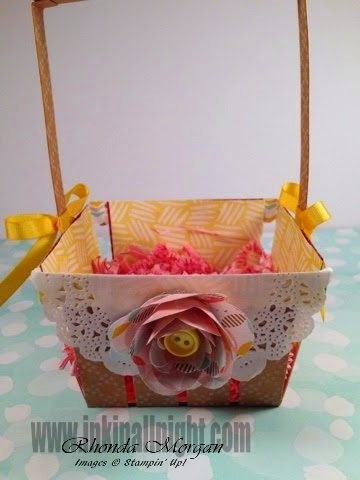 There are a TON of adorable Easter and Bunny baskets out there, so just google or head over to Pinterest and check out my SU! 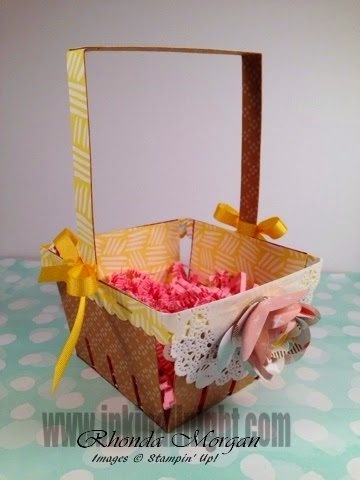 Berry Basket Board for more ideas too! 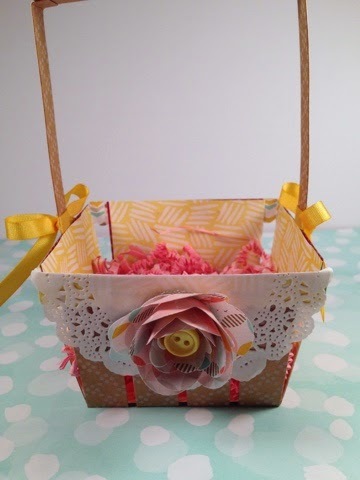 Since Easter is already upon us pretty much I decided to focus on Spring Ideas! I used the Under The Tree Specialty Box designer series paper with the Kraft printed side facing out. I absolutely LOVE this paper, it's such a great sturdy weight for 3D projects! I sure wish we would have had a spring package but luckily this pack is still available in the Clearance Rack while supplies last, $5! 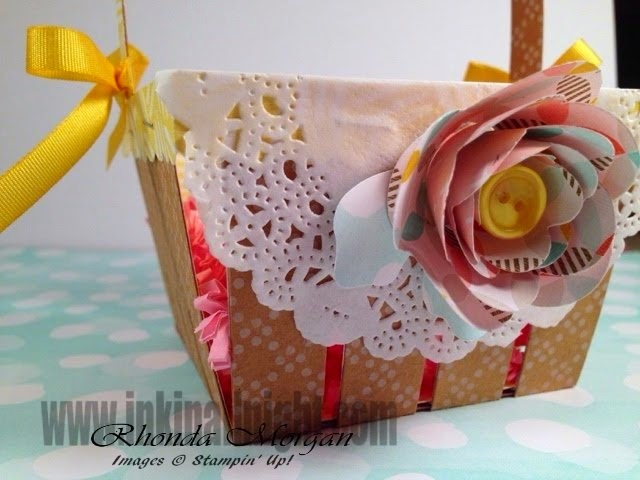 I selected one of the yellow print sides from the Best Year Ever Sale-a-Bration dsp pack for the basket, which meant it was a perfect match to add in the coordinating ribbon and button from the Best Year Ever SAB Accessory pack! Thank You Stampin' Up! for doing all of the work for us and making it so easy on our end to create fabulous projects! The only April Fool's is that I didn't have any treats to add to the basket just yet! Happy Stamping and have a great day! New Weekly Deals, staple this!